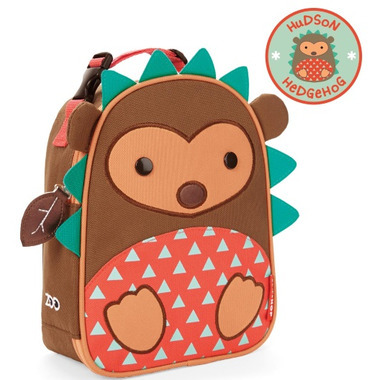 With a friendly face and matching zipper-pull, this ZOO Lunchie makes lunchtime fun! Sized just right for little kids, or a mom and baby on-the-go, this soft bag has a roomy main compartment that holds sandwiches, snacks, drinks and more. An insulated, wipe-clean interior keeps food and drinks cold, plus an inside mesh pocket holds lunch money, an ice pack or utensils. Dimensions (inches): 7.5 wide x 9 high x 3.25 deep. For ages 3+. We love this insulated lunchbag. Not only is it adorable, but it's the perfect size for my little one, and keeps her lunch and snacks at the perfect temperature.